Parents, do you have news to share about your former NVGSA player? Please let us know. We are always excited to see what our alumni are accomplishing now that they have moved on in their lives - whether they are playing high school or college, coaching, or otherwise in need of recognition for thier contributions and activities. Please direct your input to NVGSA at . 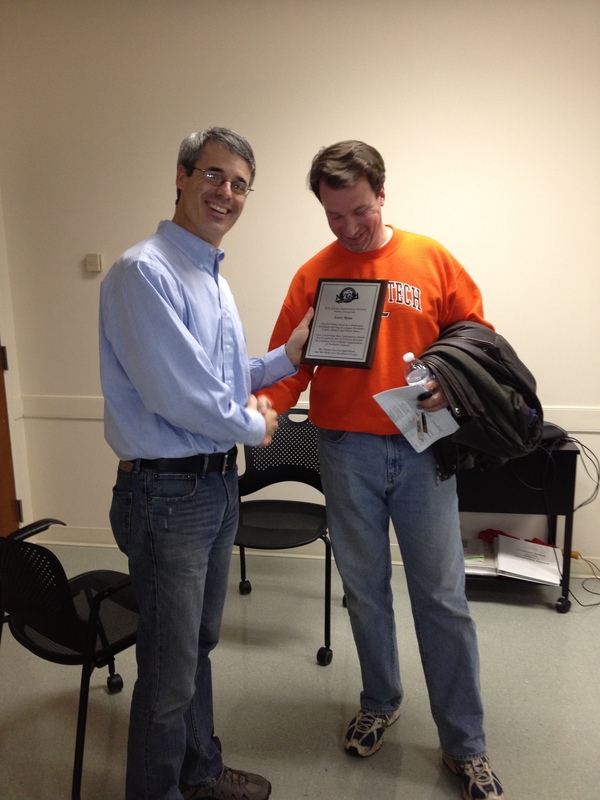 NVGSA recently presented a farewell plaque to Gary Rose, who stepped down from the Board of Directors earlier this year. Gary Rose served the league for over 11 years as a Coach, Commissioner, and lastly, as League President. During that time, Gary also hosted numerous clinics, including the winter pitching clinic that many of your daughters have attended. We hope Gary will continue to host the clinic, and we regret that we will no longer see him on a regular basis. Thank you Gary for all that you have done to make NVGSA one of the premier girls softball leagues in Northern Virginia, and for guiding and mentoring those of us who follow in your footsteps. We will miss you and wish you well! Former NVGSA house and travel player Taylor Neuhart earned a scholarship to play softball at D1 Lipscomb University in Nashville, Tennessee. Lipscomb plays in the Atlantic Sun conference. Taylor is a senior pitcher at Hayfield High School; she struck out 240 hitters in 2012 and has six no-hitters in her high school career. Taylor's parents Valerie and Dave are former NVGSA coaches and have dedicated countless hours to helping our league. Congratulations Taylor! Congratulations to NVGSA alumnus Regan Wagner. Regan Wagner received an NVGSA scholarship in the amount of $500 in 2012. Ms. Wagner's history with NVGSA started as a player and continued through assistant coaching and head coaching. We appreciate the commitment and participation Ms. Wagner put into our young players, and we wish her well in her college endeavors. Ms. Wagner is currently a student at Virginia Tech.